In 2010, I graduate from Electrical Engineering Department faculty of Engineering/ University of Kufa in Iraq and Worked as electrical engineer in Najaf governorate to supervise on the electrical foundations for building which were under construction as a part of Iraq-Rebuild program. In 2011, work as Lab instructor in Electrical Engineering Department-Faculty 0f Engineering at University of Kufa. In 2012, I got a scholarship to study in Australia for Master degree in Engineering. In Australia, I went to an intensive English language institute belongs to Flinders University for 25 weeks. Then, I went to the school of computer science and Engineering in Flinders University to study for the master degree over four semesters. My master study was focusing on robotic and autonomous systems. I graduate from Flinders University in Sep. 2015. 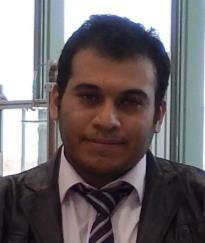 Currently, I am working as Lecturer in Electrical Engineering Department-Faculty of Engineering at University of Kufa.